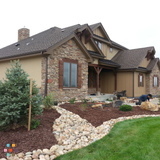 Our goal is to make you very happy with your landscape. Great service with a low price. Our customer service is what sets a part from the other companies.